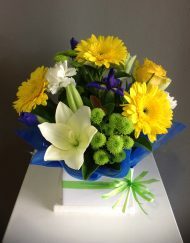 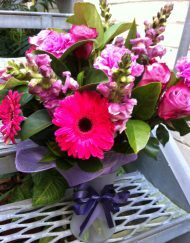 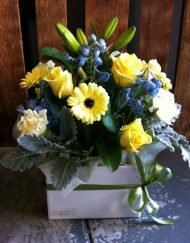 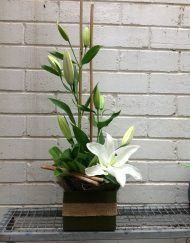 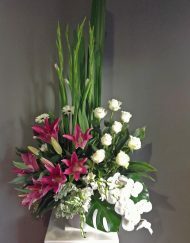 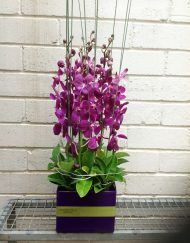 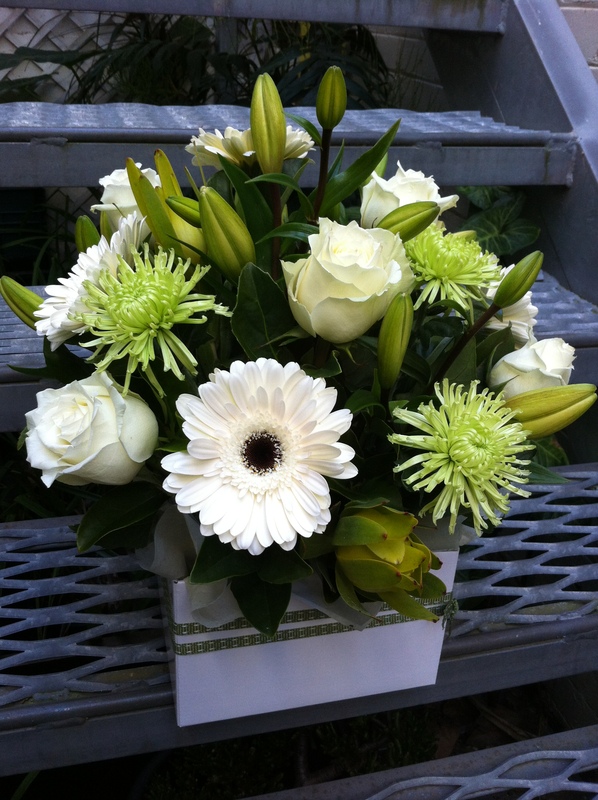 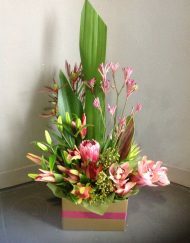 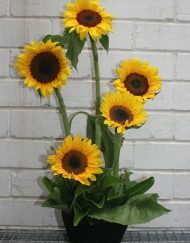 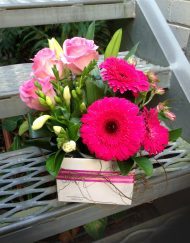 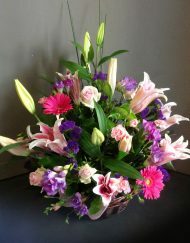 A simple classic boxed arrangement using Lilies, Roses, Green Dis-buds, Gerbera’s and Leucs. 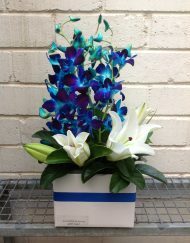 Suitable for all occasions. 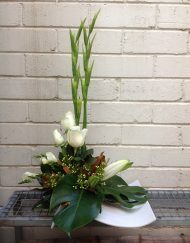 Medium Pictured.